A fourth young girl in northern Saskatchewan has taken her own life. Prince Albert Grand Council Grand Chief Ron Michel says that a 10-year-old girl from Deschambault Lake had killed herself. A fourth young girl in northern Saskatchewan has taken her own life. Peter Ballantyne Cree Nation Chief Peter Beatty spent Wednesday with the family of a 10-year-old Deschambault Lake girl who had killed herself. "The family is going through a period of trauma and shock," Beatty told CBC News. However, Beatty said the entire area is dealing with shock. Many people in northern Saskatchewan are still reeling after three girls, aged 12 to 14, took their own lives in the span of four days. They were from Stanley Mission and La Ronge. 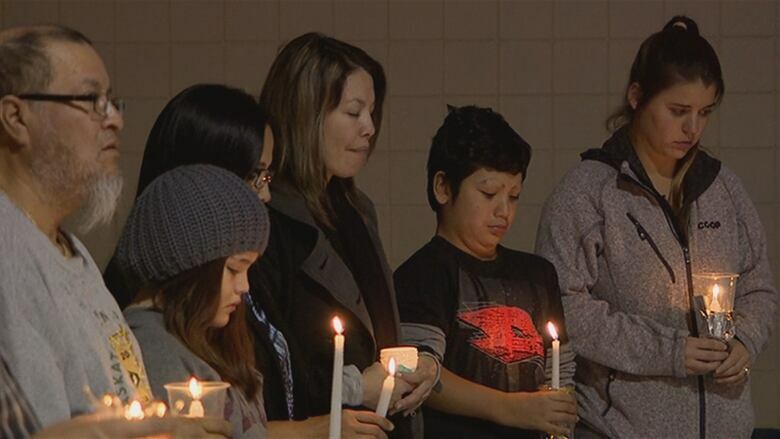 People come together following loss of 3 girls in northern Sask. "It hits a person right in the heart, this kind of a tragedy," Beatty said. Following what Beatty calls a "crisis in our communities", the area is coming together in support. A holistic health team from Pelican Narrows is heading to the area to help other holistic workers as they counsel and debrief youth in the community. Beatty said he has also spoken with leaders from Stanley Mission and La Ronge about what they can do together. "It's an all-around effort … these things have a habit or repeating over a period of time, and we just want to try to prevent that from happening." The news of the latest suicide was shared by Prince Albert Grand Council Grand Chief Ron Michel at the annual assembly Tuesday. Federation of Sovereign Indigenous Nations Vice-Chief Kimberly Jonathan said there was a wave of sadness and disbelief that washed over the room. "This is a crisis and we need to take action collectively," Jonathan said from Prince Albert. "Many of us met each other's eyes as we looked across the room with a feeling of wanting to fix this." Jonathan said there was an honour song in remembrance of the girl and they also said prayers for the family and community. "I want to make sure every step I take is going to be the right step to help solve this crisis," said Jonathan. "To [do] right by these children." Meanwhile, Prime Minister Justin Trudeau also weighed in on the matter. "It's a tremendous tragedy in Saskatchewan," said Trudeau. "It happens all too often, too many young people losing their lives, which is why we continue to be committed to working with Indigenous communities across the country to deal with this ever-occurring tragedy." 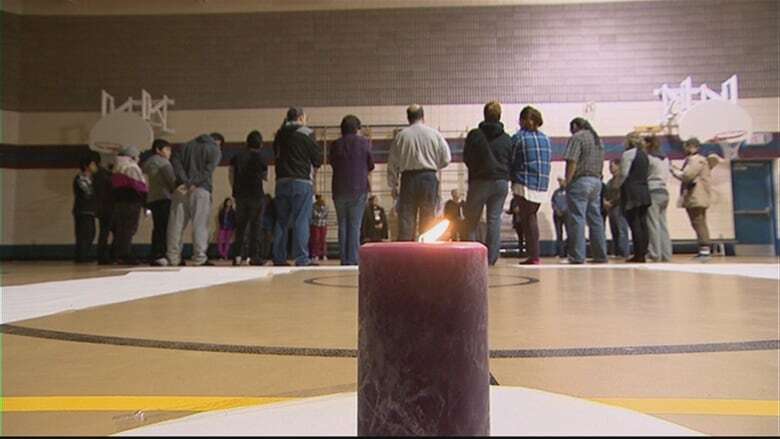 Both Stanley Mission and La Ronge have been on high alert the past week after identifying more than 20 other young people considered to be at high risk of taking their own lives. Counsellors and therapists have been working around the clock trying to support the communities. "This needs to be on everyone's radar," said Jonathan. "It's not just the communities that have deceased children and youth. It's the entire province of Saskatchewan." Deschambault Lake is part of the same health region as Stanley Mission and La Ronge, and is located approximately 240 kilometres east of La Ronge. The five-year average suicide rate for youth 19 and under within the Mamawetan Churchill River Regional Health Authority between 2010 to 2015 is 32.18 per 100,000 population, according to eHealth Saskatchewan. Assembly of First Nations Chief Perry Bellegarde said the issue needs to be addressed across the country. Speaking from B.C., Bellegarde said the suicide rate for Indigenous youth is five times higher than the national average. "Our young people need hope. They need inspiration," Bellegarde said. "They need to have the basic necessities of life. They need to have good housing, good water, recreational support services, mental health services, and obviously something is not there for them." Greg Ottenbreit, the provincial minister responsible for rural and remote health, said a working group has already been put together to try to provide the supports needed in northern Saskatchewan. "They're focusing on this situation, in particular, but making sure all the community resources are utilized in an efficient manner," Ottenbreit said. Mental health resources are available through the region's Healthline at 811. Earlier this month, the federal government launched a toll-free number for First Nations and Inuit people who are experiencing mental health issues. That number is 1-855-242-3310. If you're worried someone you know may be at risk of suicide, you should talk to them, according to the Canadian Association of Suicide Prevention.